Chase away the darkness with the torch! Whether for outdoors or simple everyday use, a torch is an indispensable tool! While searching for firewood, getting your bearings in fog and poor lighting conditions, at night in the tent or when electricity goes out for the umpteenth time - torches always ensure you see the light! And since a torch naturally fits in every bag, these mobile illuminants should not be missing on any tour! 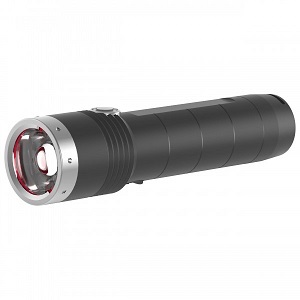 A high-quality flashlight should obviously possess sufficient luminosity. Luminosity is measured in lumens and describes the luminous flux emanating from a light source. The higher this value, the brighter the flashlight. The required luminosity certainly varies depending on the terrain. Torches for outdoor use should have a value between 100 and 200 lumen, while high-intensity flashlights can considerably exceed this value. Another important point to note while buying a flashlight is the range. After all, you don't want to lose your bearings while hiking at night or in thick fog. Most torches also allow you to focus the light beam thus increasing the range even more. Torches must fit in every bag or at least every backpack. Therefore, you should make sure that it is as compact as possible. In addition, the torch should not be too heavy, because every excess gram in the luggage counts especially on long tours. Easy operation of torches is not to be underestimated. Especially in situations where speed is of the essence, in the dark or if only one hand is free, flashlights should be simple and intuitive to operate. In sports, climbing for instance, that require the use of both hands head torches are the flashlights of choice. This type of flashlight is usually attached to the head with an elastic headband, thus always illuminating the wearer's field of vision. LED torches - for added brightness! Torches nowadays are not just simple illuminants, they are true wonders of technology. A modern torch mostly uses LED lamps for illumination. This brings a lot of advantages. First of all, the luminosity of LED lamps is significantly higher than that of regular bulbs. LED torch usually beam five times brighter than regular flashlights. The brightness of an LED lamp can be easily regulated, thus allowing for several brightness levels. A further advantage is the higher life span of LEDs. 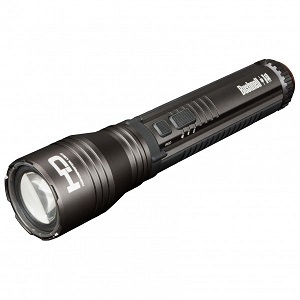 Especially practical: Torches containing an LED illuminant are very resistant to shocks. The flashlight can therefore fall once or twice without going AWOL. Low energy consumption also counts among the merits of these torches. In addition, the color of the light from the LED torch hardly changes as the battery's voltage reduces. There is thus a consistently bright light beam always. All these features make the LED torch a perfect fit for outdoor use. Whether on the road or as an every day companion, high quality flashlights will never leave you high and dry. For this reason, a good flashlight should be part of every household and gear. Is the battery full and backpack packed? Go touring with your high-performance torch!